Your home's entrance, being the first part of the house that your guests see, needs to be stylish, elegant and attractive. But most of all, it needs to be welcoming and friendly. 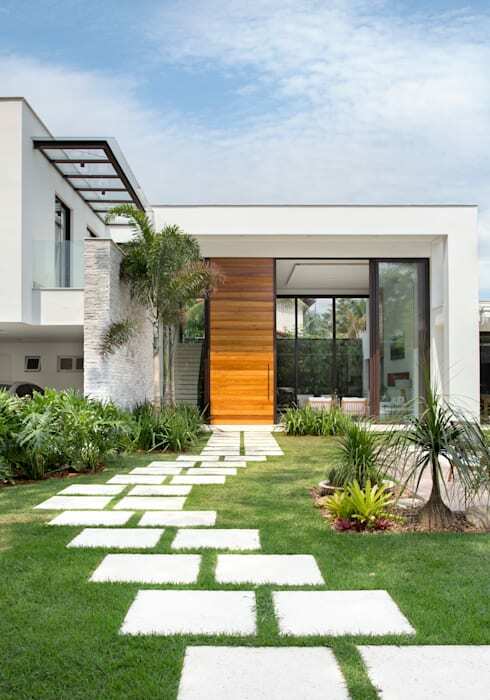 The 15 home entrance ideas we look at today are amazing in every way, from colours and materials, to details and accents. 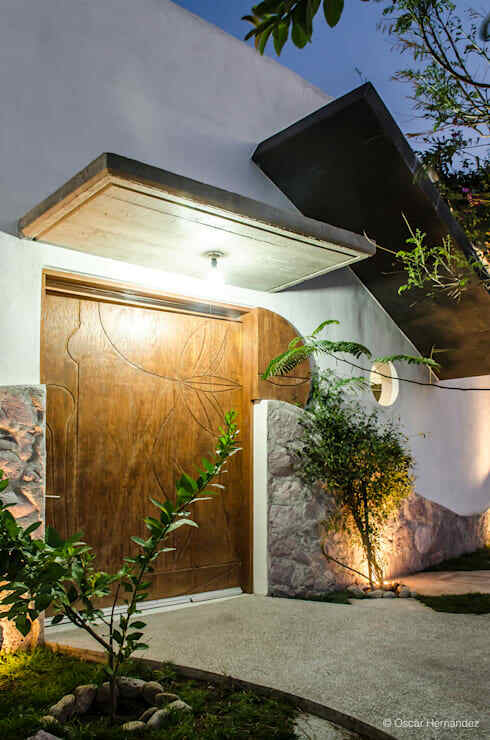 We cannot wait to gain inspiration from the expert architects who created these unique and affordable entrances. Let's begin! 1. 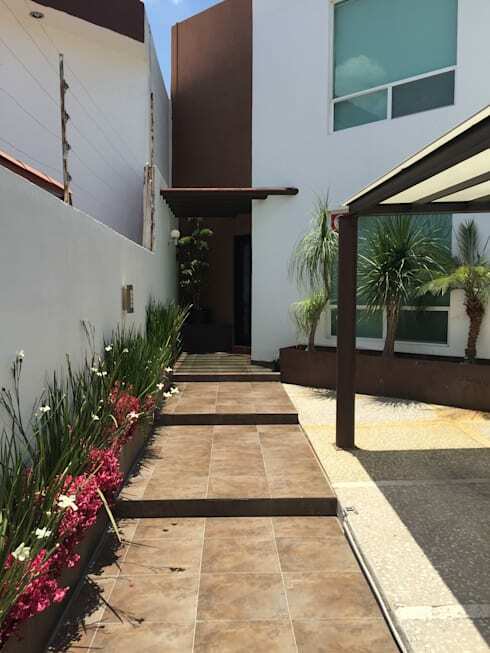 Built into the slope with a tiled, narrow garden. 2. An entrance with water, creating a mirror-like reflection under an illuminated wooden bridge. 3. A dark stone perimeter wall with a minimalist grid gate. 4. 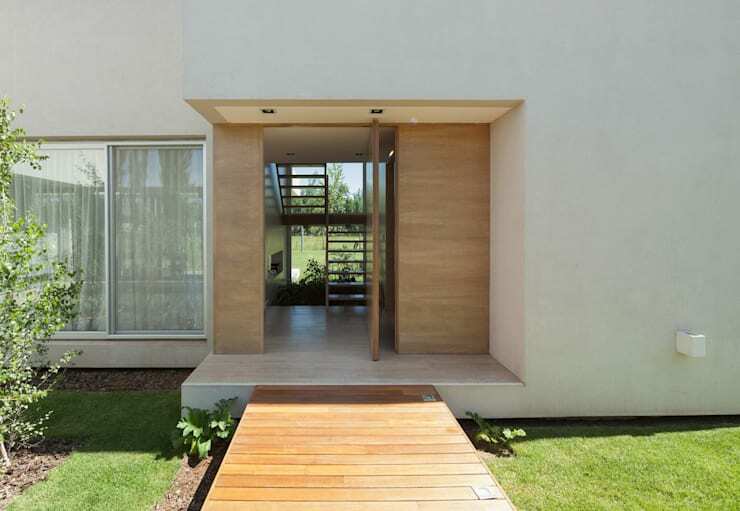 An undercover entrance, with a wooden deck pathway. 5. A unique door with an engraved pattern to add that sense of wonder. 6. 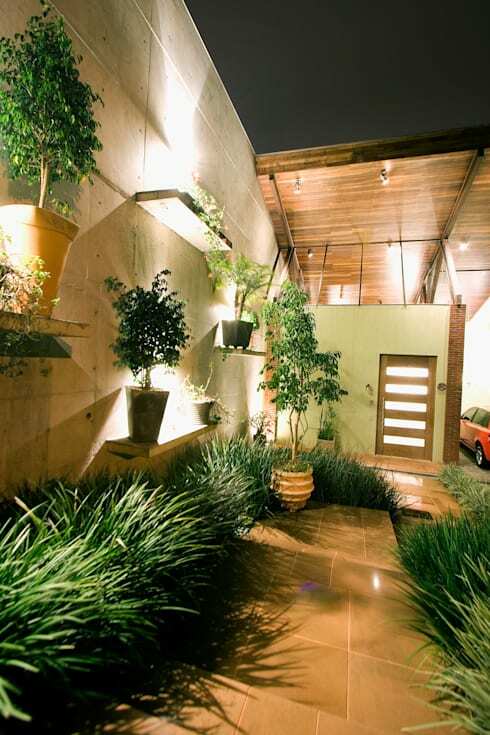 A linear cement road leads the way to a wooden entrance. 7. 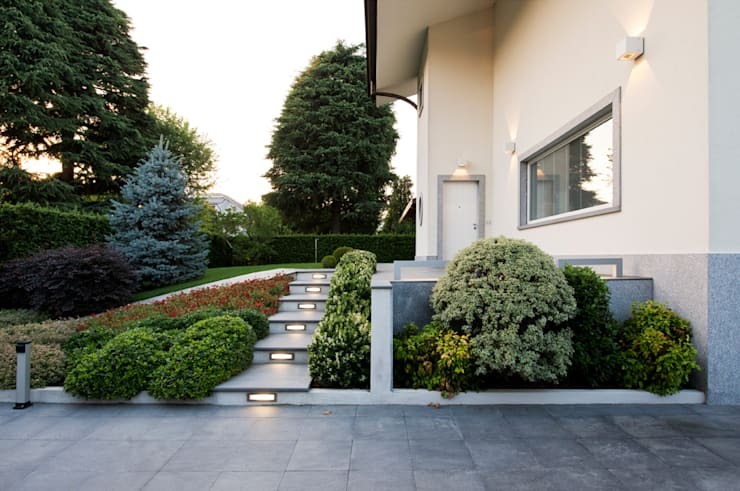 Opt for the adorable, with a narrow staircase surrounded by greenery and some interesting illumination. 8. A vertical staircase with pleasant palm trees on either side of the door. 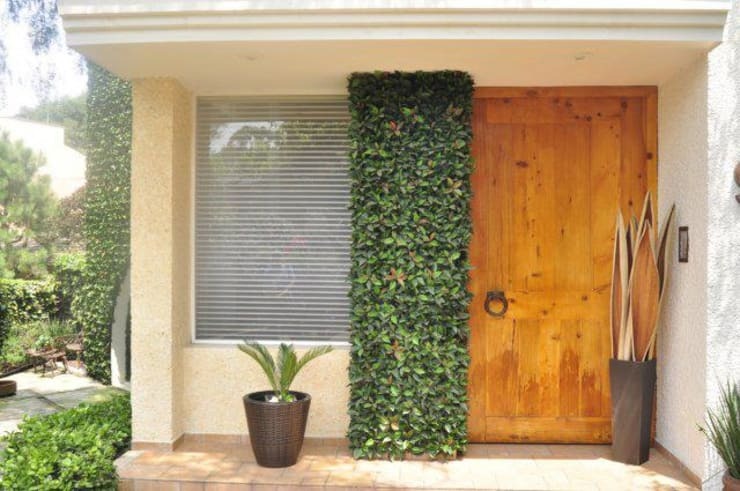 Do you like the idea of a vertical garden for your home? 11. 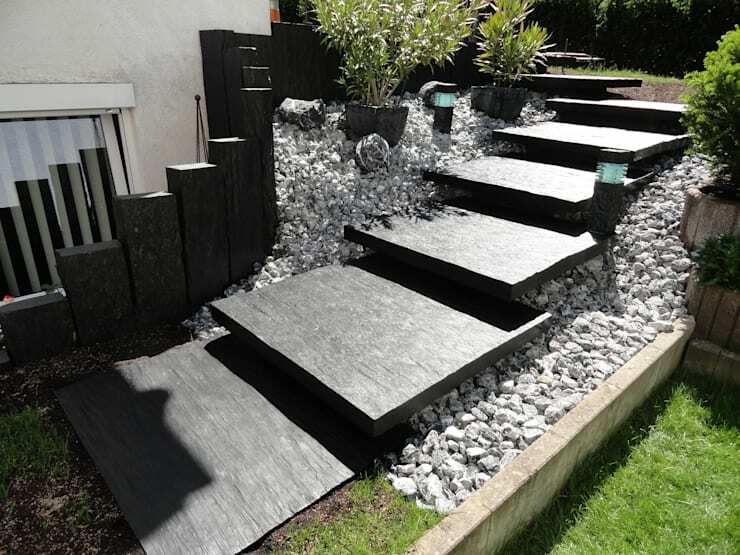 For an interesting look, combine gravel with staggered slate steps. 12. 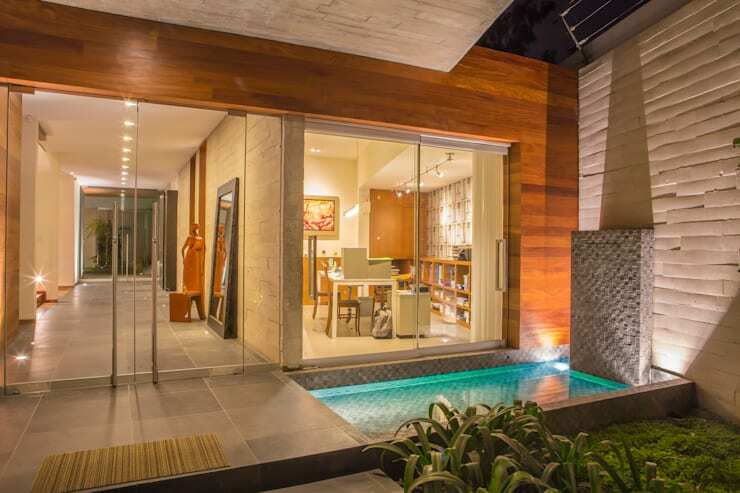 Go for the minimalism of the linear stone, accompanied by slight touches of green. 13. 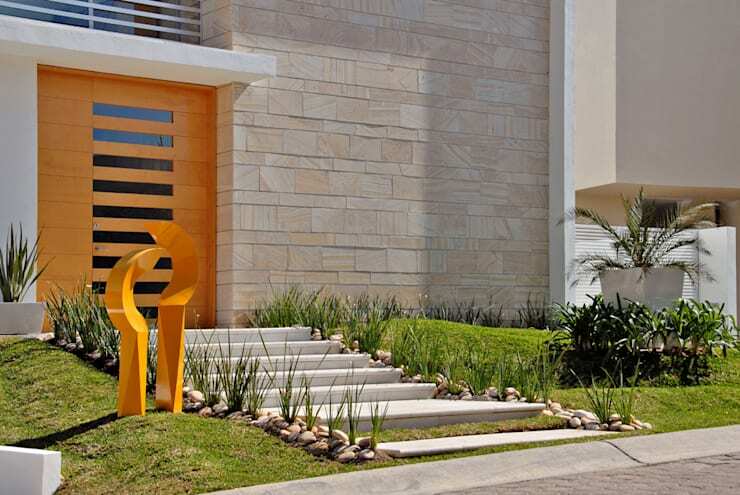 Sculptures and landscaping make for unique staircase access. 14. Concrete walls with shelves are ideal for creating a simple vertical garden. 15. 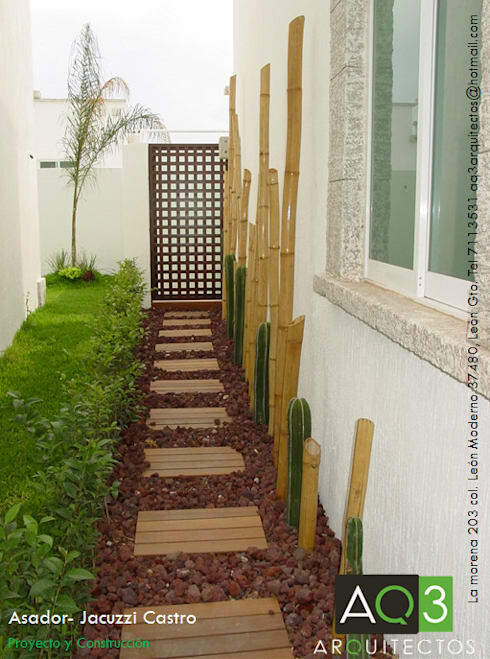 Wood and brick accompanied by bamboo trunks and cacti make for a discreet entrance. 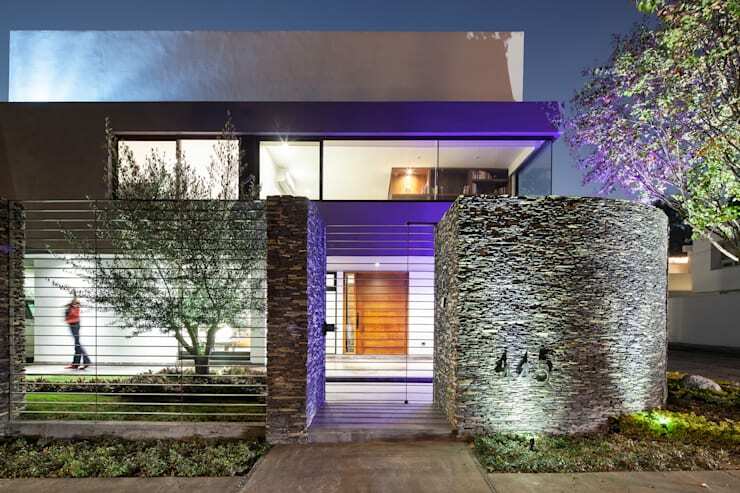 If you liked these entrance ideas, take a look at: Modern and elegant! 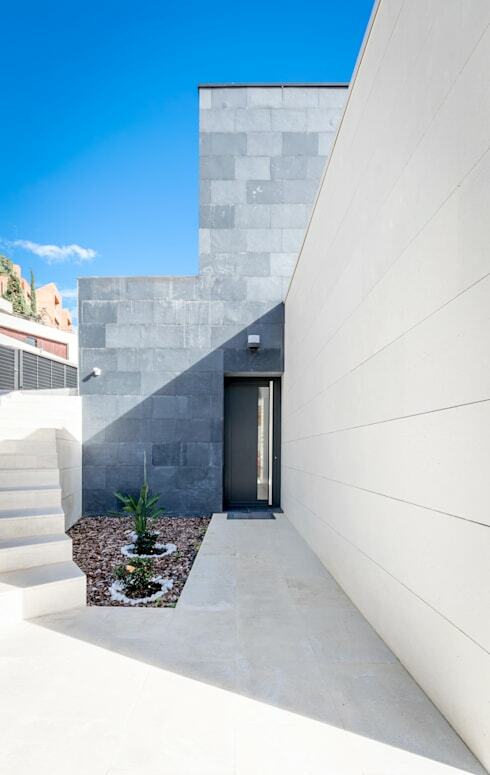 8 ideas for using stone in your home? Which of these entrances is your favourite?